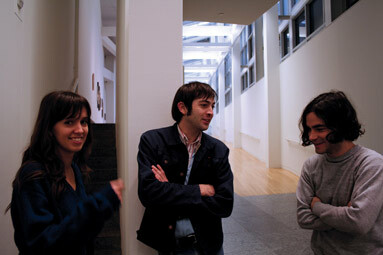 For our closing party for the exhibition Andy Warhol: Other Voices, Other Rooms—and to celebrate Valentine’s Day—local breakout band Times New Viking play their own versions of the eternally lovable tunes of the Velvet Underground, the art rock icons launched with the help of Warhol himself. TNV, like the Velvets, know the addictive lure of twisted pop riding on buzzing droning riffs, and they’re keen to rev up the Velvets songbook with fresh interpretations. Psychedelic Horseshit, also from Columbus, kick things off. Big Cheap Motel LP Ready For Order! Not exactly a Crass concert, but, hey, be careful what you wish for. Comes with a reproduction of original insert and original cover design, in a one-time edition of 500. 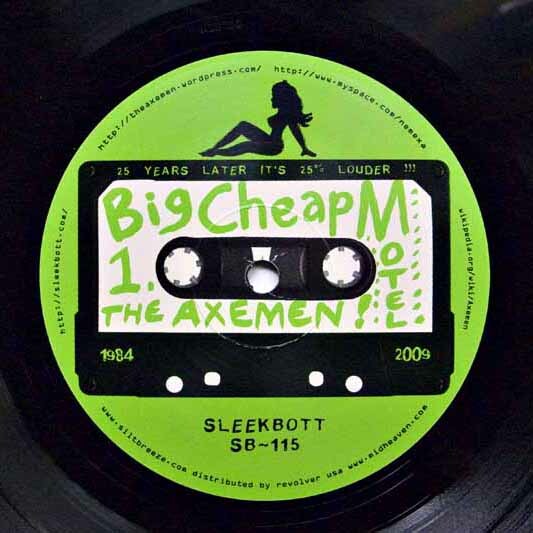 Axemen’s ‘Big Cheap Motel’ LP Ready For Order! So the 1st of the Axemen reissue lp series is now available. ‘Big Cheap Motel’ was originally released as a cassette in 1983 & documents the band’s assault on a free concert sponsored by the Big M milk congolmerate. On here one finds the Axemen to be the living embodiment of early ‘don’t man hate, man educate’ Riot Grrrl doctrine, caterwauling a set of on-the-spot original protests (+ a Rolling Stones cover) aimed at local city council & Big M’s salacious advertising that falls somewhere between ATV’s ‘What You See Is What You Are’ & Half Japanese live in DuPont Circle (http://www.youtube.com/watch?v=UTuA_FGKzWk). Would Alan Alda approve? Hard to say, but hopefully it’s a formidable enough aural action to keep Germaine Greer’s piehole shut. It’s no Crass, but then, what is? This lp is an edition of 700. All copies include an insert & most come w/stickers suitable for bodily application. Step right up & order. The libretto for this ethereal and ungodly masterpiece revolves around the epic journey of a young shepherd boy ‘Hombreo’ (to be played by a clean-shaven Marty Sauce) to the city after he sees a nuclear missile launch from the hills of his homeland, where he is tending his sheep. In the still of the clear Afghani night Hombreo can see its trajectory for miles with crystal clarity, and follows it with his keen shepherds night vision [his eyes being locally referred to as so-called ‘sheep seeking missiles’] to its destination, where he sees an awe-inspiring and terrible sight; a huge white-orange flash followed by a billowing mushroom-shaped pillar of smoke rising in slow motion over the horizon like a startled king cobra emerging from its basket, shimmering against the rhinestoned velvet wallhanging which is the desert sky. “Red Sky at night, shepherds delight” he murmers to the assembled throng of sheep, now huddled, shivering, at the base of his rough-hewn towelling and sackcloth candlewick bedspread. Hombreo takes off for the city and has his shepherd-boy eyes opened clockwork-orange style, real horrorshow like, by the myriad bestial and despicable sights he sees along the way, culminating in the grand finale, which takes plays in the lair of the bald, beclawed and bewildered Iron Eagle. Afight ensues ansd the inevitable happens. Hombreo at first tries to behead, then is bemused by, then finally befriends the metallic bird, and together they rule the land forever from 1000 feet below the scorched earth at ground level. You’re in the army, now, lad! Thanks to our wandering AV recordist Norbert Haley, we have a 33 minute set of Eugene in full swing at the Happy Bar in Wellington last week (23/01/09), and a few snaps too.